Oh, dear. French artist Jean Giraud, AKA Moebius, died today. Time to do an images search and stare at some beautiful artwork. don't know why but that was sorta sudden. Damn it, why are all the really cool people dying now!? 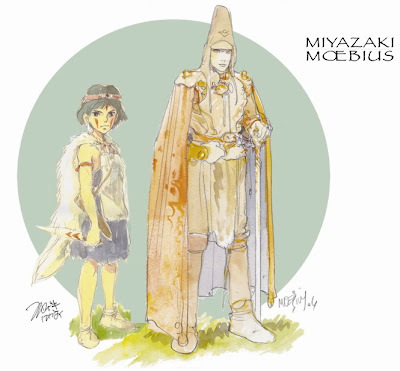 First Ralph Mc Quarrie and now Moebius... Two great artists gone in one month. Here's a BBC4 documentary on Moebius from 2007. I hope Manara, Mead and Struzan won't follow. It seems like God wants an art exhibit in Heaven and He's recruiting the icons. is someone taking these legends out or something?? Last edited by Velocity Kendall; March 10th, 2012 at 02:23 PM. Aaaaa!! I thought he was in good shape and all of a sudden I see this news :/. He was always one of my biggest inspirations. Dammit! Stop dying, cool people! Just found out about it when I reloaded the Newsarama site. I knew he was getting up there in age, but wasn't really aware he was struggling with his health. I'm really kind of shocked to be honest. He did a great Silver Surfer story with Stan Lee, I heartily recommend it. Surprisingly well-written by Lee too. I think it's actually my favorite SS story. Farewell to one of the true legends. I just got really sad. He was one of my favorites. Literally the first thing i read this morning on my twitter was this news, pretty sad. Both him and Ralph at least got to a good age and left enough of a legacy to fuel many generations to come. Thank you for contributing your visions to the world, Moebius. Another gut punch, another visionary 70's sci-fi artist. and Moebius was a special favourite of mine, no one dreamed like he did. Moebius, thank you for sharing, and being so prolific. Is the grim reaper going through all the M's on his rolodex? Syd Mead and Milo manara should go into hiding. Sweet dreams Moebius, thanks for marooning my imagination on another planet. 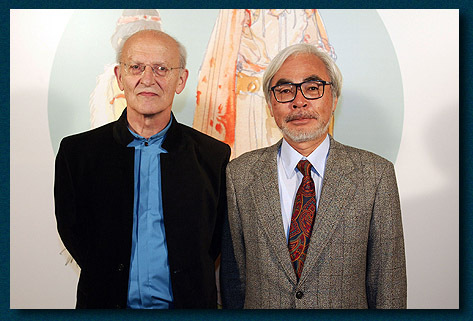 Don´t even mention it man, could bring bad luck, i would be scared for Miyazaki if that were so. Thank you Moebius. Thanks for the amazing surreal worlds you shared with us all. Thanks for being such an important and inspiring image maker. You shall be greatly missed. Something weird is happening, Dying are some guys that have never died before! He was quite old, but seemed like he would live a few more years, maybe because he was a very cool guy. I heard about this yesterday. He was an artist that inspired many and will most likely inspire many more in the future. I met him in he nineties, a very quiet humble man. One of the truly great artists of the century. If there is one thing about his art that I loved, the colors he chose would be it.